Uganda has grown steadily over the past 20 years (7.7 on average per year since 2000, and 6.6 per cent in 2017. But it is also one of the countries with the highest population growth (3.3 per cent per year) and this growth has not been translated into concrete actions to redress structural imbalances, particularly regarding access to water and sanitation. However, projects have emerged in recent years to fill the void. This is the case of the Wash Programme, which has just received support from the Netherlands. In 2016, Uganda had more than 41 million inhabitants but access to water and sanitation in Uganda is only 61 per cent according to the NGO Water. High population growth (almost three times the world average) has weighed heavily on the country’s existing infrastructure. Among the most affected areas are the West Nile districts of Nebbi and Pakwach. In Nebbi, half the population does not have access to drinking water according to Water (a programme). 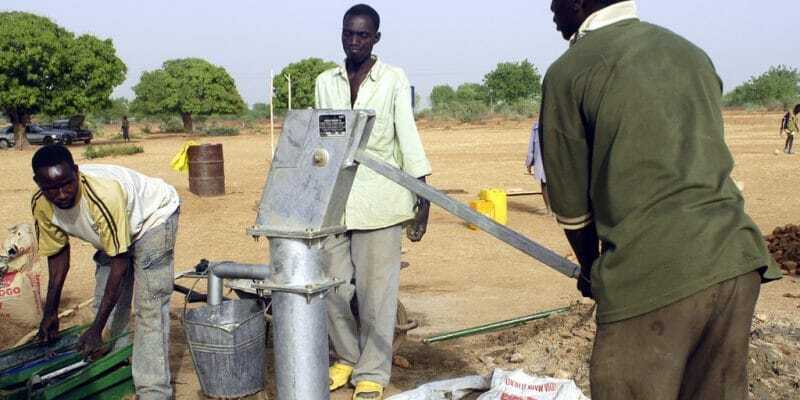 Almost a decade earlier, the district had more than 880 water points which, according to a government source, provided this resource to about 210,230 people. In May 2018, more than 196 water points were at a standstill, plunging the populations into a situation that is difficult to sustain. It was with this in mind that the WASH Programme was initiated six years ago. From this objective: to enable 21 districts to have access to drinking water. The Wash programme has just received a serious boost from the Netherlands, which has decided to inject 9 billion Ugandan shillings, or more than 2.3 billion dollars for its operation. This money will provide access to water for the people of Nebbi and Pakwach districts. According to Greg Lavender, who runs the Wash Programme in Uganda, the money will provide about 110,000 water points and benefit 31,500 households in Nebbi, Kucwiny and Nyaravur counties to increase universal access to water and basic sanitation. Work for the West Nile region is expected to last 5 years, the priority for local authorities will be to bring water into homes, and schools.